The unedifying spectacle that Bulgaria’s centre-right GERB government has produced in the saga of Veneta Markovska, the Constitutional Court judge who never was, is only the latest of mishandlings by an administration that seems oddly determined to make the 2013 parliamentary elections more exciting by handing ammunition to the opposition. Markovska’s nomination, by a majority vote in the Parliament in which GERB has a slim majority, had provoked public misgivings from the European Commission even before it formally took place. Although not naming Markovska, the EC let it be known that it believed that the reputation of the Constitutional Court and other key Bulgarian institution was “now at stake”. Markovska, prior to the vote, had been the subject of media reports of alleged improprieties. In various ways, she has denied these allegations. 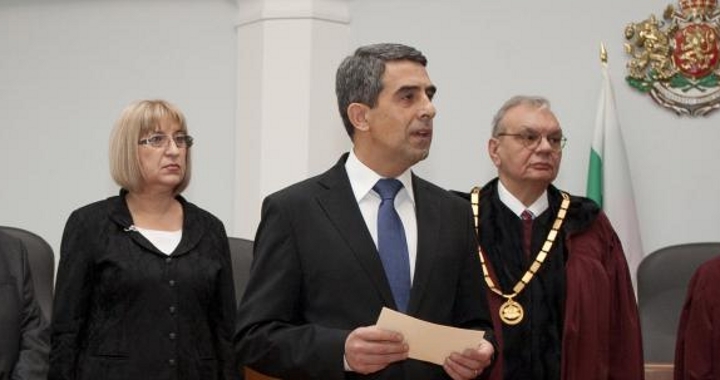 Markovska was got rid of through an unprecedented manoeuvre in which President Rossen Plevneliev declined to attend her swearing-in: “Among the citizens of Bulgaria and our European partners, there should not be the tiniest drop of doubt about the moral qualities of each of the judges,” the President underlined, and left the ceremony, his absence rendering Markovska’s oath-taking procedurally invalid. The country was left wondering what would happen next as a constitutional quandary resulted, including the facet – among others – that Markovska could not do what the ruling party wanted by resigning, because she could not resign from a post that she did not occupy. Finally, to the extent that the use of that word could be justified in this strange saga, a procedural exit appeared when Markovska announced that she was applying to go on pension. Prime Minister Boiko Borissov grimly acknowledged his satisfaction that after three calls that he had made for her to withdraw, she had done so. The next twist was the stated intent to nominate Petar Stoyanov, president from 1997 to 2002, to the post, but this also seemed headed for debacle when Stoyanov – a past leader of the right-wing Union of Democratic Forces – said that he needed three days to think about it, while reports a day after the announcement said that no MP from his party in Parliament could be found to formally table the nomination. With Markovska, the initial vote in support in Parliament was approved with the co-operation of Ahmed Dogan’s Movement for Rights and Freedoms; in turn, GERB’s apparent collaboration with the UDF in putting forward Stoyanov opened it to allegations that it would do a deal (on other than public terms) with any of its enemies or rivals to get what it wanted. But the Markovska saga was only the latest in a series of controversies that have seen the government radically change its message or become caught up in issues that run against its previous stated policies on fiscal discipline and no new taxes. In short summary, around the beginning of the year, the media was filled with stories of the huge bonuses paid to public sector employees. In some cases, the bonuses were widely perceived as undeserved, as “managers” at state institutions were found to have taken home huge sums even though the bodies of which they had stewardship were underperforming. 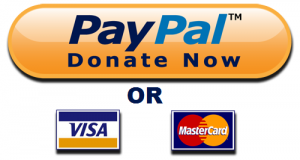 There seemed no sympathy in the media for the practice of, in other cases, bonuses genuinely being used to reward employees who turned in performances above the call of their job descriptions and beyond the scale of their meagre state salaries. 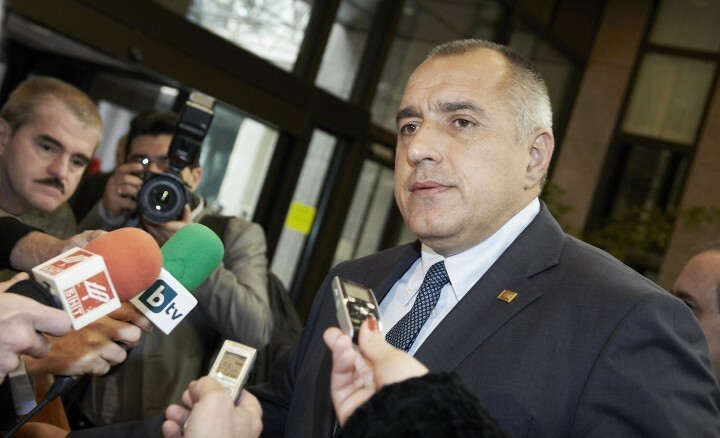 The damage was to Borissov’s self-crafted image as tight on the purse strings; he blustered and ordered bonuses withdrawn and repaid; he threatened his Cabinet ministers with dismissal unless they paid back their bonuses – and it may be that along the way, he lost a few months among Bulgaria’s public servants. On much larger scale was the flip-flopping on Belene. Conspiracy theorists had it that Traicho Traikov had lost his job as economy and energy minister because of his opposition to the Belene nuclear power station project. If that is true, there may have been at point that the bitterness displayed by Traikov after his departure from the Cabinet may have been deepened, when the Cabinet, in a March 2012 decision, said that it was pulling the plug on Belene. That happened against a background of mixed messages on Belene. But suddenly, no proponents of Belene could be found anywhere in the ruling party’s ranks – or so it seemed. A mystery investor emerged, popping out of the hat like a radioactive rabbit, and all of a sudden it seemed that the death warrant on Belene had been signed in disappearing ink. By this time, the opposition Bulgarian Socialist Party (of which more below) had sought to popularise the issue by spending the summer collecting signatures for a referendum on Belene, eventually achieving (once about 24 per cent of the signatures on its petition turned out to be invalid) sufficient to push the ignition button on a referendum process. This, in turn, turned into a fiasco about what the question in the referendum would be, but what was clear was the ruling party was not controlling the momentum and faced an even worse problem in shaping what its position would be when the referendum is held towards the end of January 2013. By this point, the government was looking, at very least, clumsy. The Belene saga of 2012 proved much longer-lasting than that other painful episode towards the start of the year, the debacle in Qatar, when the proceedings of a large delegation including several senior office-bearers were reduced to farce, apparently the fault of some junior officials attached to the delegation. Summer saw the Forestry Act drama, when – through mustering on social networks – large numbers of protesters turned out in central Sofia against amendments alleged to favour certain vested interests. The spectacle of the largest protests in many years was finally damped down by a presidential veto of the amendments. The significance of the Forestry Act amendments was of no help to a government that cannot afford to appear divorced from the common people, certainly not in a case where it was perceived as drafting a law to help wealthy individual interests. On the mixed messages front, there was a series of different predictions from different ministers about what pensions Bulgarians might expect in 2013. But, some time after clarity was achieved, this episode was not as bad as the issue of the tax on bank deposits. This concept was first aired in a Bulgarian-language media report, first confirmed and then – a few hours later – formally denied by the Finance Ministry. If a proposal was not on the Finance Ministry website, the ministry said, then there was no such proposal. Then, some days later, it was confirmed that indeed interest on bank deposits would be taxed. On top of that, it was some time before there was clarity on how the system would work and on top of that, skepticism about whether the game was worth the candle. By the autumn, the government had built up a record in 2012 of saying that it would do things, and then reversing them, and saying that it would not do things, and then doing them. It had not missed at least one other faux pas, in the wake of the terrorist suicide bombing at Bourgas Airport in July. While the government – perfectly understandably – underlined the closeness of its friendship with Israel and did everything possible to work with the state whose citizens had been targeted by the terrorist blast, no one from the government turned up to the funeral of the single Bulgarian, the bus driver, who died in the blast. An MP from Ahmed Dogan’s party, which is made up and led mainly by Bulgarians of Turkish ethnicity, got in the cheap shot that no government official had come to the funeral because the Bulgarian was a Muslim (Israel itself announced that it would be happy to welcome his family on a visit to the country). Earlier in November, local polling agency BBSS Gallup said that the gap between GERB and the opposition socialists had narrowed to within the margin of error. Allowing for several polling agencies being perceived as having in the past tended to favour one party or another, the poll did not get very big play in the media (a fact that could also reinforce criticisms by some that the Bulgarian-language media is largely in thrall to Borissov and GERB), but then, on November 22, came the latest poll showing that the ruling party was continuing to shed support. According to a poll by the National Centre for the Study of Public Opinion, the Cabinet’s disapproval rating had worsened to 57 per cent by the time the poll was conducted among 1000 adult Bulgarians from November 1 to 7. The poll said that since September, GERB had lost two per cent of its support and was at 24.5 per cent, while the opposition socialists had risen since September by 1.5 per cent to 19 per cent. 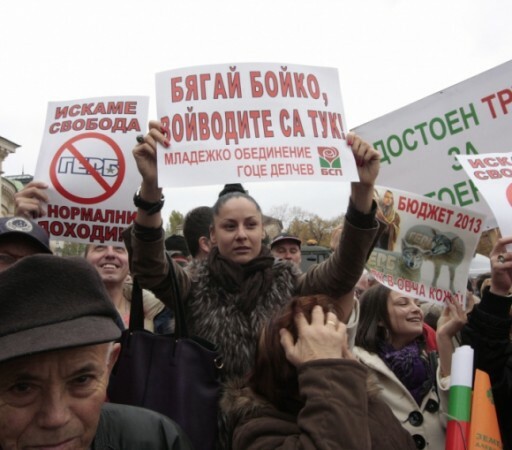 The dimmest views of the Cabinet were taken by Bulgaria’s pensioners and the poor, the pollsters said. Sergei Stanishev, who in 2012 defeated a leadership challenge by former president Georgi Purvanov and who had his profile boosted by elevation to the leadership of the Party of European Socialists, was by November clearly shaping a campaign aimed at portraying GERB as the enemy of Bulgaria’s less-well-off majority and as power-crazed. Weighing in on the economy, on Belene and the continuing failure to get Bulgaria into the EU’s Schengen visa zone, Stanishev and the BSP also seemed to be relying on collective public amnesia about the abject failures of the 2005 to 2009 tripartite coalition that had been headed by Stanishev as prime minister (it failed against organised crime and corruption, failed on Schengen, got nowhere with Belene and when the global financial crisis broke, the only respect in which the socialist-led administration did not resemble a somnambulist was when it was in a funk of deep denial). On top of these issues, the Markovska saga was a gift to opposition parties, with Stanishev saying on November 20 – after the announcement about Stoyanov — that it would not take part “in this circus that is turning the country into a laughing stock”. GERB, Stanishev said, was like a conquering horde, seeking control of the entire country, including the judiciary and the Bulgarian Orthodox Church. This, said the leader of the party that is the lineal successor to the Bulgarian Communist Party, was “authoritarianism”. Stanishev earlier this year sought to evoke Bulgaria’s emotional memory of Ottoman rule by likening Borissov to a “Sultan”. 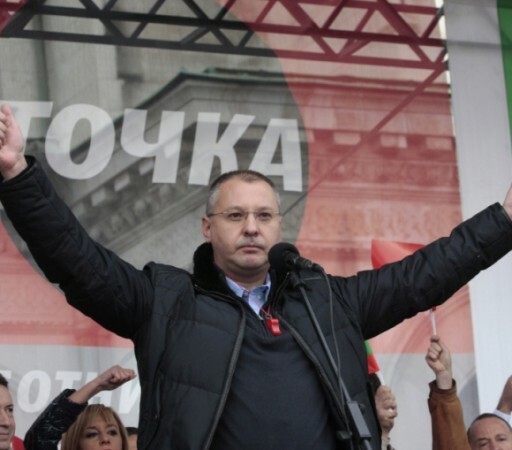 These ideological epithets aside, Stanishev managed to produce an extremely well-attended anti-government rally on November 17, telling the crowd that GERB had destroyed ordinary people’s chances of success in Bulgaria while at the same time being in the palm of a criminal group. “The government is sharing out the country to their close associates, they share out the public procurements, they are obsessed with control, they eavesdrop on us, they want to own the judicial system and the private sector in Bulgaria,” Stanishev said. 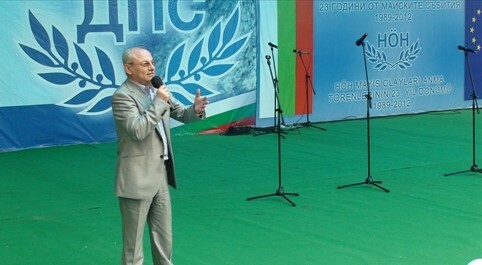 Stanishev, whose party said that it wanted to table its own, alternative, national budget in Parliament (“there is one good thing about the state budget for 2013 and that is that this is the last budget by Prime Minister Boiko Borissov,” Stanishev said) said earlier in November that Bulgaria was turning into “the ghetto of poverty in Europe”. Stanishev said that today, under the GERB government, 1.6 million of Bulgaria’s 7.3 million population was below the poverty line. He has pointed to unemployment being significantly higher than when GERB took office. With about six months to go before the likely date ofBulgaria’s national parliamentary elections, and a referendum that could be a game-changer before that, Stanishev is clearly telegraphing an election strategy based on cost-of-living message. The strategy of the socialists’ former partner in government, Dogan’s Movement for Rights and Freedoms, is quite different – in the terminology of US politics, Dogan is playing to his base, Bulgaria’s ethnic Turks. The national controversy that erupted when the MRF-dominated municipal council of the southern city of Kurdjali declined to honour the Bulgarian general who was the victor of the battle for the place in the Balkan Wars 100 years ago, now seems less like a one-off episode of political misbehaviour than part of a careful strategy. After the outrage that erupted at the insult to the general seen as a hero by the vast majority of Bulgarians, first there were media reports, based on leaks, that Dogan was also outraged – at the damage to the image of his party. But then he publicly endorsed his councillors, not omitting to make matters worse by publicly likening Bulgarian conduct in the Balkan Wars to “ethnic cleansing”. Piously, Dogan suggested that there should be a common project among Balkan countries to come up with a shared, agreed version of history (by far not the first time something like that has been suggested, notably in the case of the vexed bilateral relations between Bulgaria and Macedonia). Dogan, who in the past has stirred controversy – at various points – by saying that it was the business circles close to his party who really matter, by saying that his party’s influence was not dependent on whether it was in or out of government, and by saying that he personally was the “guarantee of ethnic peace” in Bulgaria – then played to the base once more, by his party suggesting that special pensions be paid to victims of the “revival process” of the communist era. This is heady stuff, a reference to an episode inBulgaria’s recent history that is a painful memory for many. In short, in the 1980s the communist government embarked on the forced renaming of Bulgarians with Turkish and Muslim names, supposedly intending by its campaign that those affected would be “reclaiming” their purported original Bulgarian identities. (In those days, Dogan himself was Medi Doganov; meanwhile, his codename as a State Security agent reportedly was Sava). The “revival” campaign by the communists turned violent. It is not known how many people died. Certainly, apart from that, there was violence and injuries when people protested, there were abuses of people taken into detention without trial. The episode led to a mass exodus of Bulgarians of ethnic Turkish origins into Turkey, until Ankara closed the border to them, ending what Bulgarians refer to as the “Great Excursion”. After the beginning of the transition to democracy, initial moves to prosecute those behind the episode ended with no result other than courts that routinely referred back indictments for further investigation. The MRF’s argument is that while victims of the reprisal process are officially listed as among the victims of repression during the communist era, no provision has been made for special pensions for them, and this is an oversight that should be corrected. Should the government refuse, it will likely hand Dogan’s party another talking point for its election rallies. Dogan also recently went on record that after the 2013 elections, there would have to be a coalition government. Coalition governments are a popular topic in regard to the fourth party seen by pollsters as likely to make it into the 2013 post-election National Assembly, the Bulgaria for Citizens party headed by former European Commissioner Meglena Kouneva. Kouneva was eliminated among a wide field in the first round of the 2011 presidential elections but got 14 per cent, and has been climbing slowly but steadily to appear to be set for a handful of seats in Parliament next year. Formerly a cabinet minister in the administration that was headed by former monarch Simeon Saxe-Coburg, Kouneva has portrayed her party as being in the liberal part of the spectrum, as did Saxe-Coburg’s party and as does Dogan’s. The significance of all of this is that while the polls still give the largest share of votes to Borissov’s party, GERB faces a number of risks. First, if it again forms a minority government, is that it will have no small parties to form working partnerships with in the House, because the current ones are all set for oblivion in the elections. Second, whatever denials ahead of the election, it will be vulnerable from a socialist-Dogan-Kouneva working alliance to bring it down in a vote of no confidence, even if such a new version of a tripartite coalition does not get past it to form a governing coalition; and finally, going by its performance on some of the major issues in 2012 so far, one of the greatest risks to GERB is GERB itself.